Postnet is used to encode the zip code and delivery point. Planet tracks both inbound and outbound letter mail. The QR code can represent a pre-paid, debit or credit account number via a smart phones application or the code can contain payment information that can be scanned by consumers’ Smartphone. 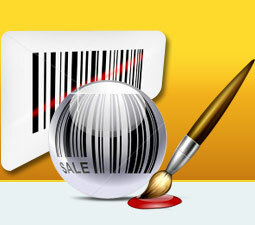 Creates postage barcode labels using advanced linear and 2D barcode font standards. Generates bulk numbers of post office and bank barcode labels, stickers using different types of series generating techniques: Random series, Sequential series and Constant value series. 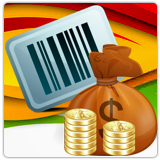 Ability to print bulk numbers of postal barcodes simultaneously with advanced printing setting. 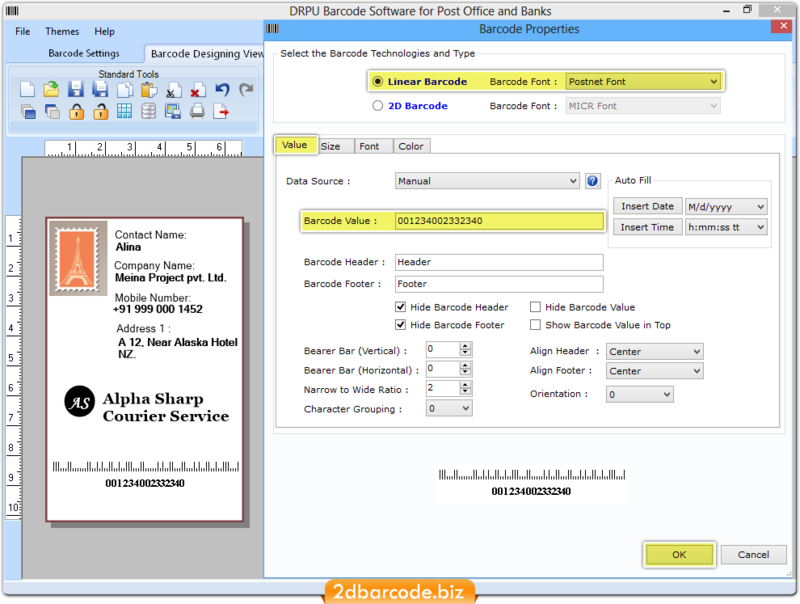 Integrated with wide range of color, font and image settings to create postal and banking industry specific barcode labels.